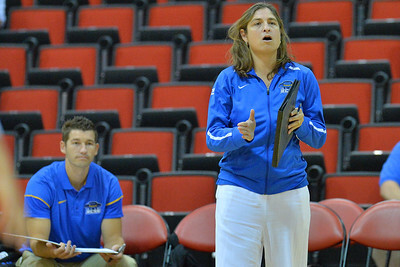 August 26, 2016; Las Vegas, Nev.; UCSB head coach Nicole Lantagne Welch talks to her team before a match between the UNLV Lady Rebels and UC Santa Barbara Gauchos. 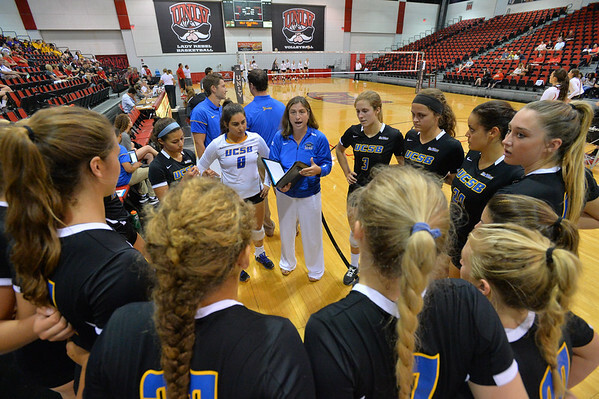 UNLV defeated UCSB 3-0. 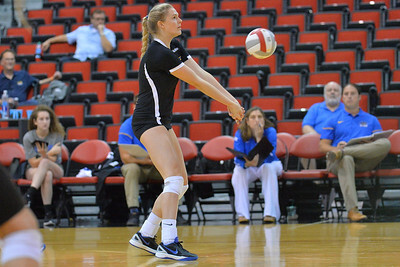 August 26, 2016; Las Vegas, Nev.; UC Santa Barbara outside hitter Chanel Hoffman (24) digs a ball during a match between the UNLV Lady Rebels and UC Santa Barbara Gauchos. 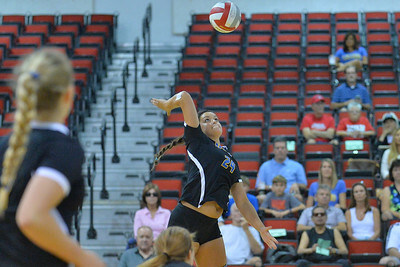 UNLV defeated UCSB 3-0. 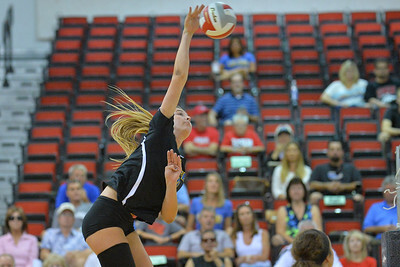 August 26, 2016; Las Vegas, Nev.; UC Santa Barbara outside hitter Megan Rice (7) passes a ball during a match between the UNLV Lady Rebels and UC Santa Barbara Gauchos. 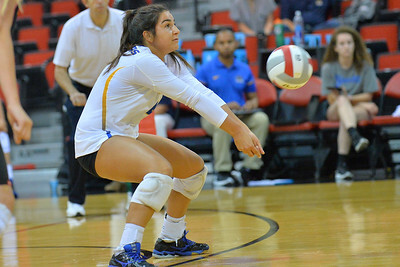 UNLV defeated UCSB 3-0. 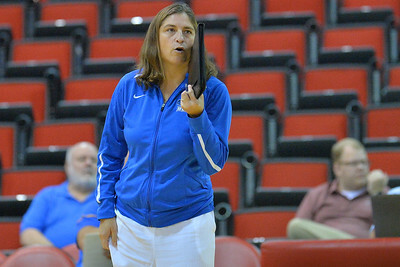 August 26, 2016; Las Vegas, Nev.; UCSB head coach Nicole Lantagne Welch gives her team instructions during a match between the UNLV Lady Rebels and UC Santa Barbara Gauchos. 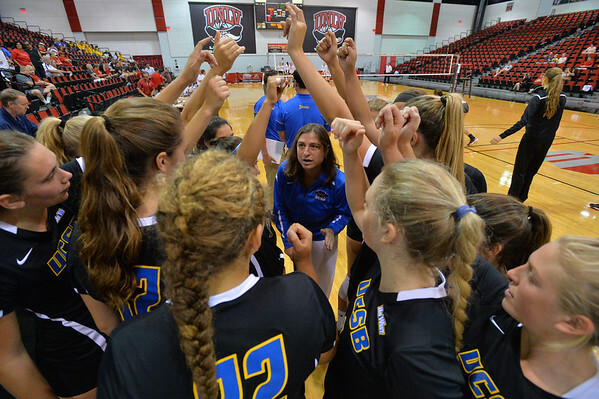 UNLV defeated UCSB 3-0. August 26, 2016; Las Vegas, Nev.; UC Santa Barbara outside hitter Chanel Hoffman (24) takes a swing during a match between the UNLV Lady Rebels and UC Santa Barbara Gauchos. 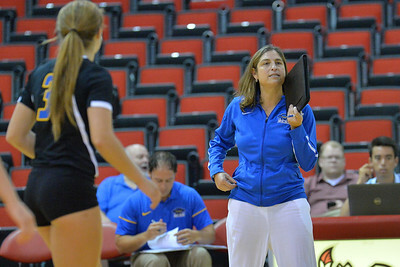 UNLV defeated UCSB 3-0. 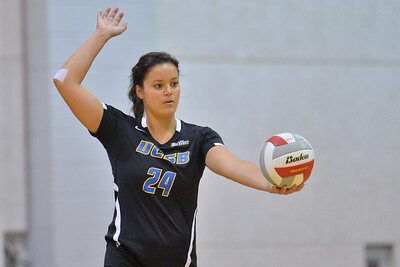 August 26, 2016; Las Vegas, Nev.; UC Santa Barbara outside hitter Chanel Hoffman (24) serves a ball during a match between the UNLV Lady Rebels and UC Santa Barbara Gauchos. 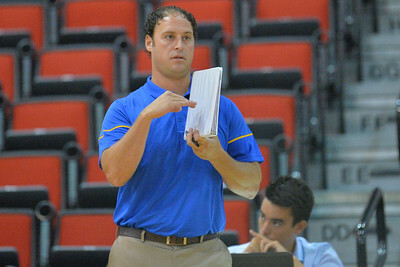 UNLV defeated UCSB 3-0. August 26, 2016; Las Vegas, Nev.; UC Santa Barbara outside hitter Lindsey Ruddins (4) takes a swing during a match between the UNLV Lady Rebels and UC Santa Barbara Gauchos. 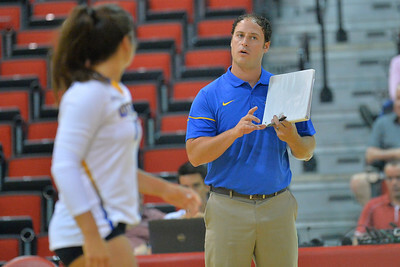 UNLV defeated UCSB 3-0. 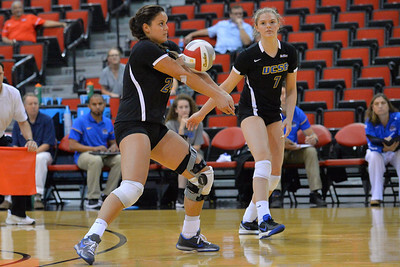 August 26, 2016; Las Vegas, Nev.; UC Santa Barbara defensive specialist Emilia Petrachi (8) passes a ball during a match between the UNLV Lady Rebels and UC Santa Barbara Gauchos. 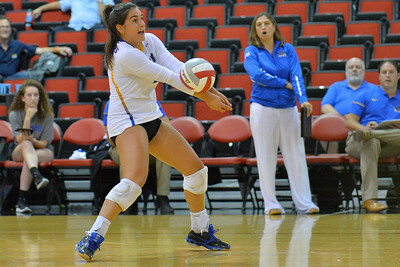 UNLV defeated UCSB 3-0. 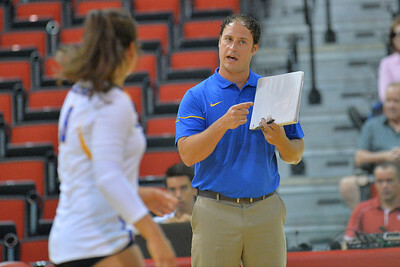 August 26, 2016; Las Vegas, Nev.; UCSB assistant coach Kolby O'Donnell gives his team instructions during a match between the UNLV Lady Rebels and UC Santa Barbara Gauchos. 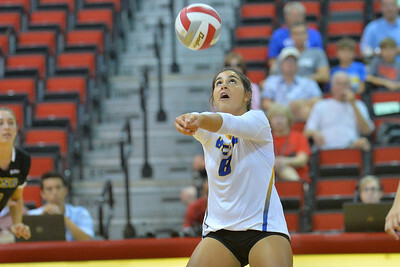 UNLV defeated UCSB 3-0. 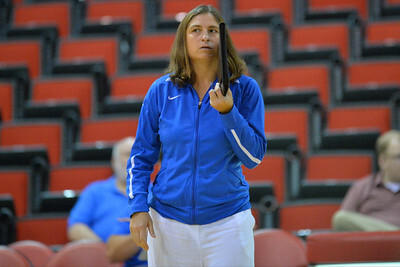 August 26, 2016; Las Vegas, Nev.; during a match between the UNLV Lady Rebels and UC Santa Barbara Gauchos. UNLV defeated UCSB 3-0. 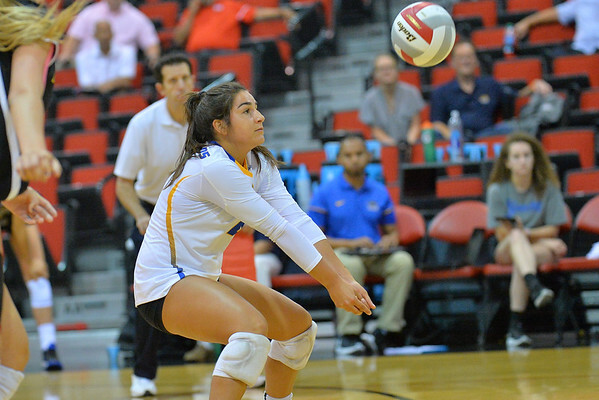 August 26, 2016; Las Vegas, Nev.; UC Santa Barbara defensive specialist Emilia Petrachi (8) digs a ball during a match between the UNLV Lady Rebels and UC Santa Barbara Gauchos. 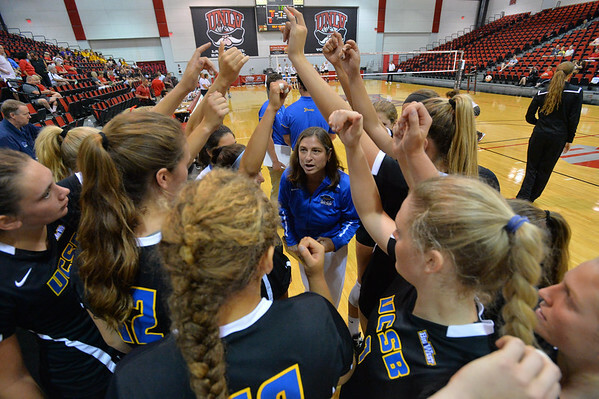 UNLV defeated UCSB 3-0.